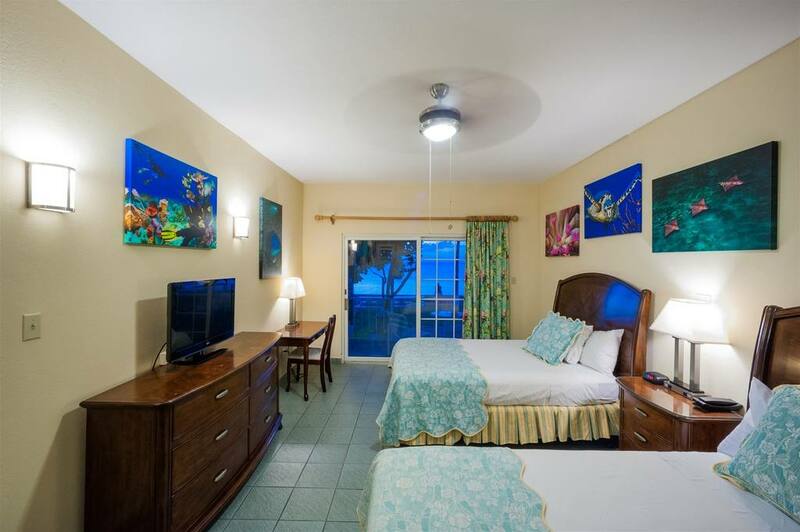 GRAND CAYMAN’S HOTEL FOR DIVERS BY DIVERS! World famous Sunset House is a dedicated diving resort. Everything you need is right on site – accommodations, full service dive center, Cathy Church photo center, two restaurants (the food’s great! ), a tropical open air bar, large pool and jacuzzi, and gear lockers are all a few steps away. The Sunset House has been one of the world’s most popular dive resorts for years… one reason is the excellent and easily accessible shore diving. Just a few kicks away from shore you’ll find an underwater wreck, mermaid statue and colorful reefs. 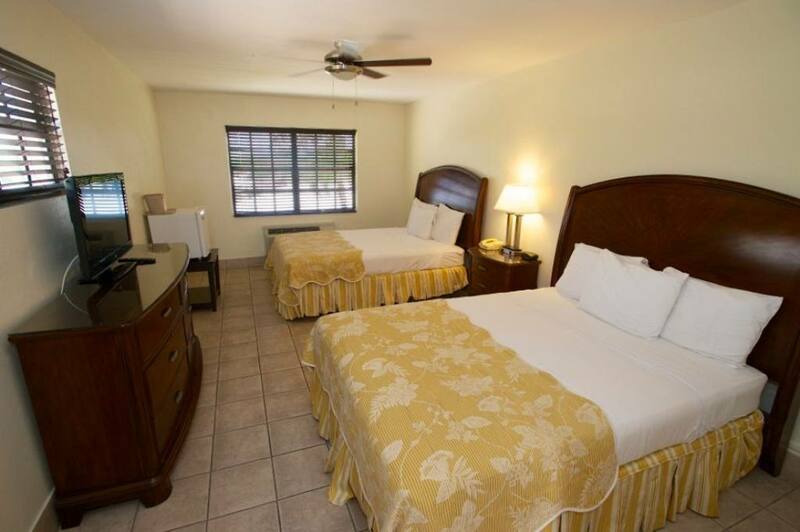 All accommodations are air-conditioned and have cable TV and telephone. A full made to order breakfast is included. Courtyard Rooms offer a walk-in patio door and come with 2 double beds or 1 king-size bed, cable TV, air conditioning and private bathrooms. 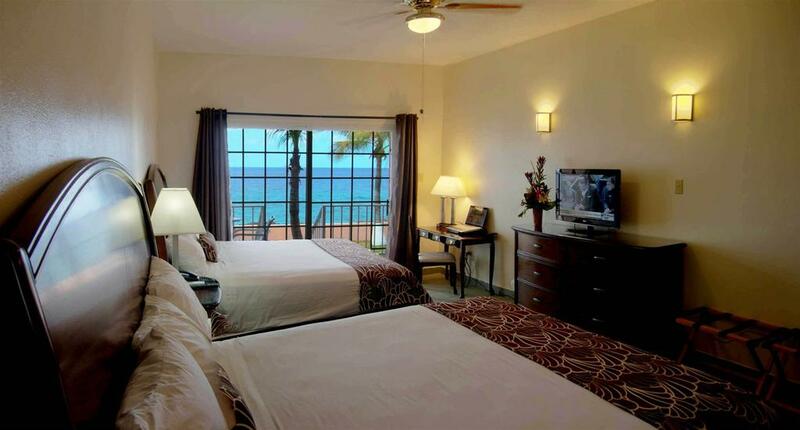 Oceanview rooms offer slightly more space with 2 double beds or 1 king-size and 1 double bed, cable TV and a private balcony looking over the palm trees and the water. The suites offer lots of room, a living area with couch, cable TV, fridge, microwave, large private bathroom and a private balcony. My Bar is an open air palapa located directly on the ocean. It is a local favorite with great food, and a wonderful place for divers to hang out. Don’t miss the “green flash” at sunset – it really does exist! Indoor, air conditioned dining is also available at the Sea Harvest restaurant. Sea pool that is 8-10 feet deep and perfect for a refresher and buoyancy check. There is a 15 foot opening that leads you right into the ocean. Cathy Church Underwater Photo Center and Gallery on site including camera rental and repairs, photo processing, and instructional courses.